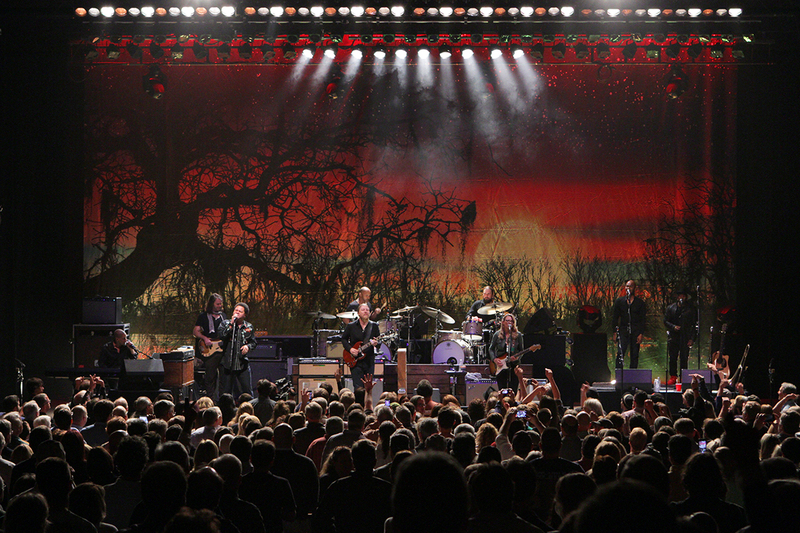 Infinity Hall Live celebrates the music and energy of groundbreaking American artists. The acoustically perfect Infinity Music Hall, an historic 130-year-old venue in Norfolk, Connecticut, provides an intimate setting for engaging, authentic and heartfelt performances by an eclectic group of musicians. Candid interviews with band members provide a window into their motivations, their inspirations, and their unique styles. Cameras also eavesdrop on backstage preparations, providing a glimpse into the creative process, as well as a sense of the behind-the-scenes anticipation and nervous energy at the heart of any live concert. 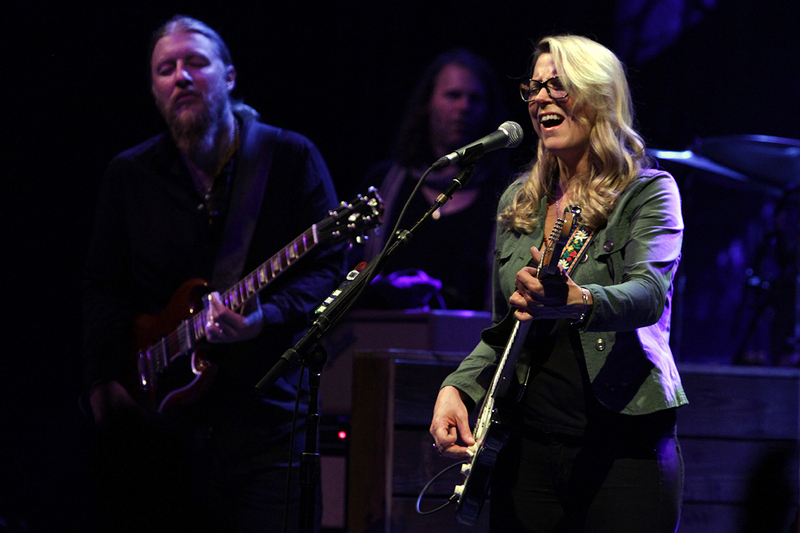 On Sunday, November 1 at 11 p.m. and Sunday, November 22 at 10 p.m., Rhode Island PBS presents Infinity Hall Live featuring the Tedeschi Trucks Band. Formed in 2010 with a spirit of adventure that saw Susan Tedeschi and Derek Trucks shelve their equally successful solo careers, Tedeschi Trucks Band has quickly become the vanguard of modern roots music. The 11-piece tour-de-force enlists dual drummers, two vocalists, a three-piece horn section, bass, and a multi-instrumentalist keyboard player for what is a greater-than-the-sum-of-its-parts collective. Rhode Island PBS has your tickets to see the Tedeschi Trucks Band live at the Providence Performing Arts Center on Saturday, December 5 at 8:00 p.m. Tune in November 1 or November 22 for details. 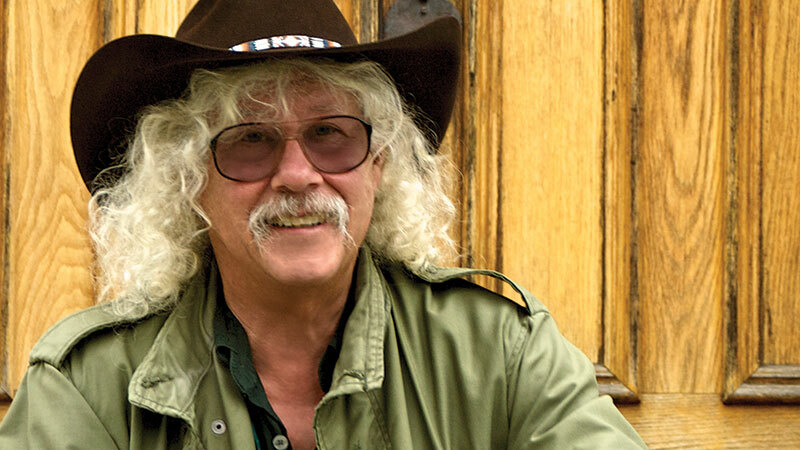 It may be hard to believe, but it was, in fact, 50 years ago that Arlo Guthrie recorded the famous lovably circuitous ramble about a Thanksgiving mishap. To commemorate the 50th anniversary, PBS stations across the country will simultaneously air a special concert at 8 p.m. locally on Thanksgiving night, November 26. Rhode Island PBS will encore the show on Saturday, November 28 at 10:30 p.m.
And to think it all started with a littering offense. 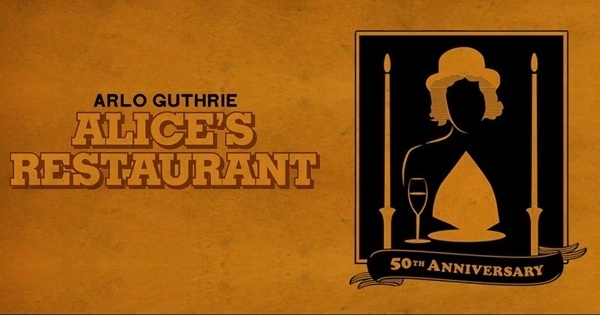 The shaggy dog tale of woe unleashed by this botched good deed, recounted in meandering detail on Guthrie’s 18-minute talking blues “Alice’s Restaurant Massacree,” led to an underground FM radio hit, a beloved Thanksgiving tradition whereby entire families recite the epic story along with Guthrie, and even the 1969 Arthur Penn-directed film Alice’s Restaurant (it still holds up reasonably well). Always undaunted by the shadow of his late, legendary father - the songwriter, folksinger and tribune of the people Woody Guthrie - Arlo carved out his particular niche with “Alice’s Restaurant” as a sly, self-deprecating and lightly toasted observer of the American scene. 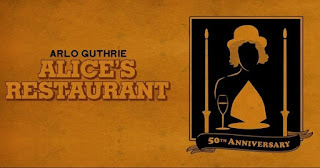 He celebrates five decades of good service and institutional stupidity with the ‘Alice’s Restaurant: 50th Anniversary Tour,’ which includes four stops in Northern California [earlier this year in April 2015] With drummer Terry Hall, guitarist Bobby Sweet, bassist Darren Todd, and Arlo’s son Abe Guthrie on keyboards, the multimedia production features songs drawn from all of Arlo’s albums, previously unseen photos from the Guthrie archives, and a light show designed specifically for the tour. While it all might sound like a hippiepalooza, Guthrie has always resisted easy pigeonholing. An ardent libertarian in recent decades who supported Ron Paul’s 2008 campaign for the GOP presidential nomination, he’s got a keen eye for absurdity and a soft spot for the underdog. After all, as he recounts in the course of “Alice’s Restaurant,” the littering conviction ends up saving him from the draft, while the charge of creating a public nuisance gave him the street cred to hang with the hardened criminals on the Group W bench. The Ultimate Downton Abbey Gift Bag! 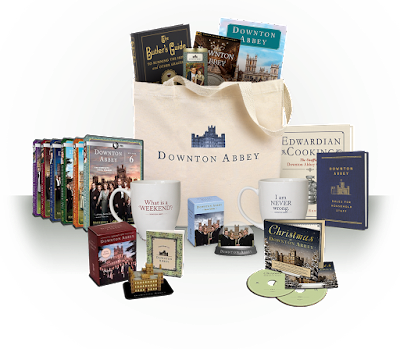 The Ultimate Downton Abbey Gift Bag is valued at more than $500! 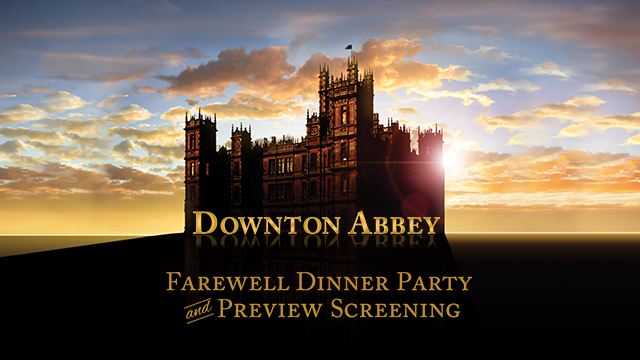 Raffle tickets are only $25 each and will be on sale at the Rhode Island PBS Downton Abbey Farewell Dinner Party and Preview Screening member event or call us 401-222-3636 x 381 right now to pre-order your raffle tickets before they sell out. Tickets are limited, but you do NOT need to be present to win! Winner will be drawn on Saturday, December 5, 2015. 16 oz “What is a WEEKEND?” Beverage Mug (Maroon) - White ceramic 16-oz. mug features the quote "What is a 'WEEKEND'?" in maroon lettering. Mugs have ear-shaped handles for a comfortable hold and feature a wide mouth and tapered base. 16 oz “I am NEVER wrong” Beverage Mug (Navy Blue) - White ceramic 16-oz. mug features the quote "I am NEVER wrong." in navy blue lettering. Mugs have ear-shaped handles for a comfortable hold and feature a wide mouth and tapered base. Downton Abbey Rules for Household Staff Book - The household staff of Downton Abbey carries out their duties with effortless dignity, finesse and pride. Yet how do they know how exactly to lay the table, when to leave the room to give Lord and Lady Grantham their privacy, how to care for Lady Mary's furs and which uniform to wear when? The Butler’s Guide to Running the Home and Other Graces Book - Perched on an island off the shores of Cornwall, England, the soaring castle of St. Michael’s Mount has been home to the St. Aubyn family since 1647. For nearly thirty years, Stanley Ager, one of the most esteemed butlers of the twentieth century, ensured that St. Michael’s Mount was an impeccable place to live and a gracious and welcoming one for guests to visit. Revered by everyone from royalty to the estate staff, Stanley Ager considered it his calling to run a home gracefully and efficiently. Several of the men whom he trained at St. Michael’s Mount went on to serve in the Royal Household at Buckingham Palace and at British embassies throughout the world. But you don’t need a manor to benefit from Ager’s wisdom on homekeeping. Downton Abbey and Philosophy Book - In Downton Abbey and Philosophy, twenty-two professional thinkers uncover the deeper significance of this hugely popular TV saga. Millions of viewers throughout the world have been enthralled by this enactment of a vanished world of decorum and propriety, because it presents us with emotional and interpersonal problems that remain urgent for people in the twenty-first century. Downton Abbey Mini Snow Globe and Book of Quotes - Enjoy the holidays at Downton Abbey this kit includes a deluxe miniature snow globe of the Downton Abbey estate, complete with an elegant nickel-plated base. Also included is a 48-page book with quotes and full-color images from the show--a must-have collector's item for the millions of fans of the beloved period drama. Downton Abbey 2016 Engagement Calendar - This is the elegant planner that keeps the show close and the fan immersed in the world of Downton Abbey. With millions of viewers worldwide, Downton Abbey is one of the most successful and captivating dramas on television. The Downton Abbey Engagement Calendar is a sophisticated gift: a practical weekly datebook featuring full-color photographs from the show accompanied by captivating snippets of dialogue. The spacious spreads provide plenty of room for writing down each day’s appointments, notes, and goings-on. Edwardian Cooking: An Unofficial Downton Abbey Cookbook - With 80 delicious recipes, this cookbook celebrates the phenomenal success of the series and the culinary wonders enjoyed by the aristocracy in Edwardian England. Starting with an elegant array of savory tea sandwiches and sweets from traditional high tea, this book guides you through dinner at the Edwardian table. Christmas at Downton 2 Music CD Set - the official festive collection from the much loved, award-winning television series, Downton Abbey. Transport yourself back to a simpler time and enjoy this two CD collection of well-known carols and hymns, which have been carefully curated to evoke the Christmas At Downton Abbey spirit. This 2 disc CD set features 47 tracks with 7 cast recordings. Downton Abbey returns to Masterpiece for one last season. But you don’t have to wait until January to get a first look! Join us for "dinner and a movie" as we gather to bid fond farewell to Downton Abbey on Masterpiece on Saturday, December 5, 2015, at 6 o’clock in the evening, at The Casino at Roger Williams Park in Providence. This event is available to members only, so join us! For each new or renewing* membership contribution of $125, you will receive one admission to the Farewell Dinner Party as our thank you, plus one 12-month Rhode Island PBS membership with MemberCard benefits. The Farewell Dinner Party includes hors d’oeuvres, dinner, dessert and coffee or tea. As an added attraction to this elegant and fun event, your admission includes an exclusive free preview of the first hour of season 6 of Downton Abbey a month before its American television debut! Please click here to donate and get your thank-you tickets. Plus there will be a silent auction and a raffle of the Ultimate Downton Abbey Gift Bag (see here). Fridays at 9 beginning January 8 on Rhode Island PBS. *Members who renewed after October 1, 2015, call us for a special offer. Rhode Island Classroom is a half-hour program focusing on the most interesting and innovative programs and people in our education system. 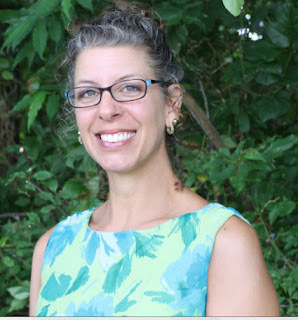 Host Margie O'Brien introduces viewers to stand-out teachers who are inspiring our students, break-through courses offered in area schools and new, exciting programs that are motivating students to succeed. The next episode of Rhode Island Classroom airs Thursday, October 29 at 8 p.m. on WSBE Rhode Island PBS, with encore scheduled for Tuesday, November 3 at 9 p.m. on WSBE Learn. One segments features Johnston teacher Debra Ramm, a leader in innovating technology in the classroom, and who is changing the way her students feel about school. In another segment, Rhode Island Classroom profiles the 2016 National Principal of the Year, Alan Tenreiro, who just happens to be from Rhode Island. Viewers will also get close-up look at Rhode Island’s new Education Commissioner, Dr. Ken Wagner, in an in-depth interview. Finally, Rhode Island Classroom visits the pros-in-training who put on the morning news each and every morning at Barrington High School. Rhode Island Classroom is produced by WSBE Rhode Island PBS and airs quarterly. Considering the financial, emotional, and social costs of violence and incarceration, one would think using tools that offer an alternative to a life of revolving-door crime would be welcome in the prison system. In Rhode Island, they are. 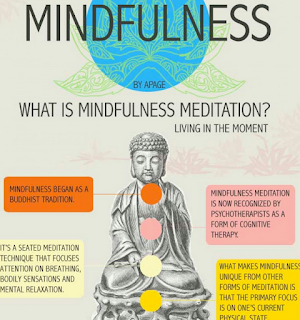 HEALING VIOLENCE explores the progressive programs implemented within the Rhode Island Department of Corrections - including mindfulness training, meditation, and group therapy - to help break the cycle of violence. The programs help the incarcerated identify triggers and change automatic reaction, shifting thoughts and behaviors away from violence toward more constructive, peaceful, and enduring conflict resolution. Rhode Island is the first in the country to employ some of these innovative programs in a prison system. Rhode Island PBS presents HEALING VIOLENCE on Thursday, November 12 at 8 p.m. The documentary features stories told by local professionals, including Alison Bologna, WJAR-NBC10 reporter and mindfulness yoga trainer; Fleet Maull, founder and director of Prison Mindfulness Institute in Providence; Jim Gillen and Anchor Recovery's DryDOC program; and local businesses and organizations offering vocational training to juvenile inmates. Rhode Island Department of Corrections Director A.T.Wall says results are measurable. In the Rhode Island Training School, the facility that houses younger offenders, prison mindfulness training not only build self awareness, but also attempts to provide the inmates with a greater sense of self worth. The film includes a segment on vocational training; culinary training and hair styling instruction is offered to inmates who are interested in those fields. The training opens an avenue to gainful employment once the juveniles are released, and helps build self-esteem and provides positive affirmation of one's abilities. HEALING VIOLENCE travels from the streets of Providence to the cell blocks at the Adult Correctional Institutions, to the local yoga studios where the practices of deep breathing and meditation are transforming lives. 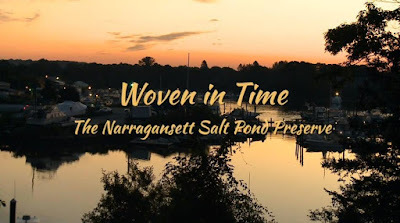 Woven in Time: The Narragansett Salt Pond Preserve, is a documentary about the only surviving and recently preserved pre-contact (1100-1400) Native American village on the New England coast. A film of extraordinary beauty and poetry, Woven in Time is a story of 'place' - how land and spirit are interwoven and how uncovering this village could lead to a shared stewardship for this beautiful and bountiful territory of marshes, ponds, oceans and forests. Rhode Island PBS presents Woven in Time: The Narragansett Salt Pond Preserve on Sunday, November 22 at 6 p.m. as part of the ongoing Rhode Island PBS series, Rhode Island Stories. The film will encore Tuesday, November 24 at 8 p.m. on WSBE Learn. 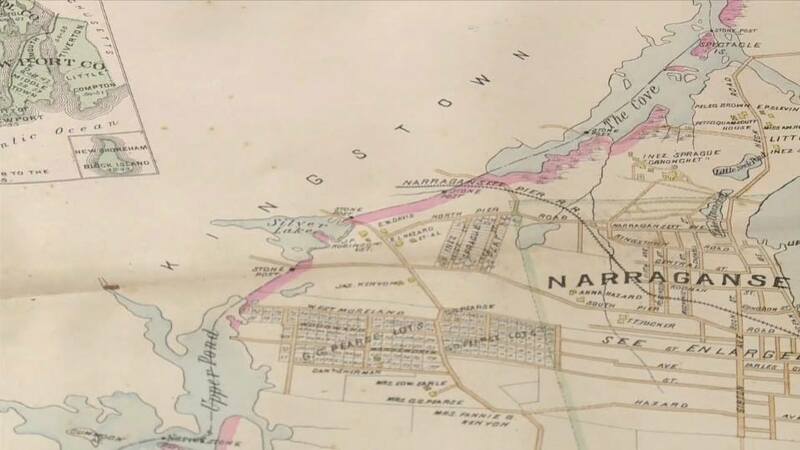 This land, used for dirt biking and adjacent to a suburban housing development and shopping center, is on a pond in Point Judith, Narragansett, where the Narragansett people place their origins story. 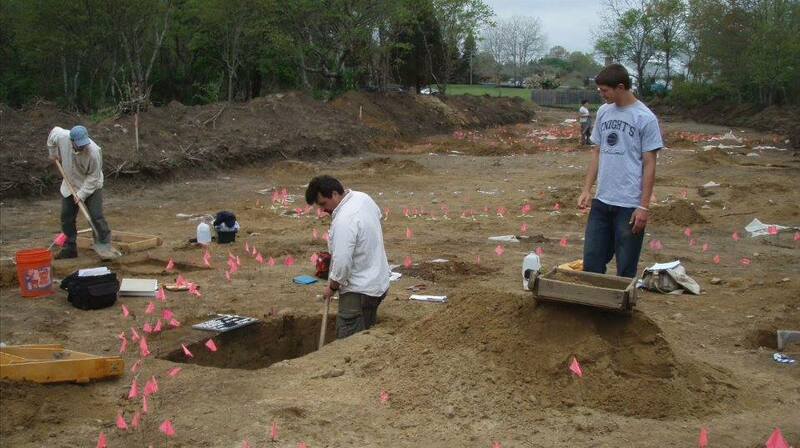 In the 1980s, archaeologists unearthed the remains of a centuries old village that managed to survive 'untouched' in a highly built section of the Rhode Island coast. The parcel then became the center of an almost 30-year battle between the right of property ownership and the social and cultural importance of preserving one of the most important archaeological sites on the East Coast of the United States. 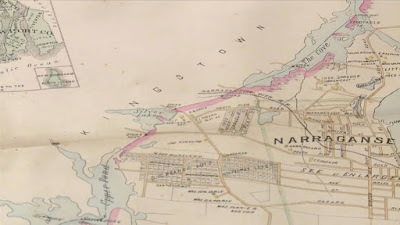 Funded by the Rhode Island Department of Transportation and the Federal Highway Administration, the Woven in Time film project does not shrink from the harsh relational reality - and ultimate cooperation - between the state of Rhode Island and the Narragansett. Filmmaker Marc Levitt spent a year and a half interviewing more than 50 people from the Narragansett, state government officials and political figures, archaeologists, anthropologists, historians, and local citizens. 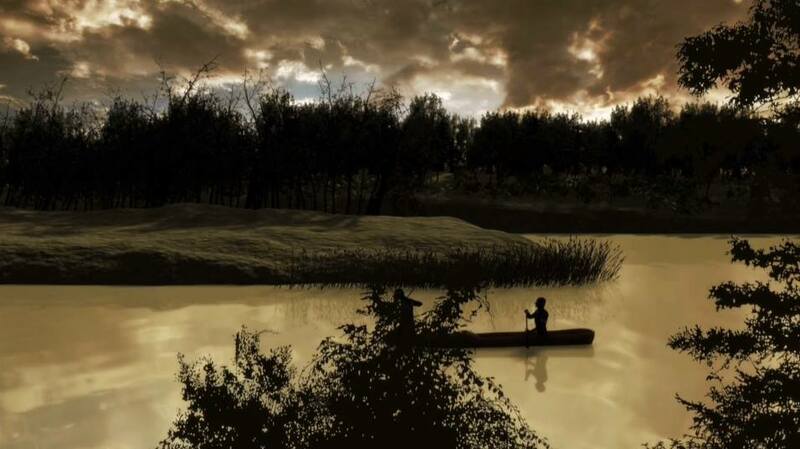 He has constructed the film in the same 'narrator free' style he employed in his first documentary, Stories in Stone. Featuring drone photography, animation, music drawn from Rhode Island, national and international sources - including a recurring theme by the well known avant-garde composer, Moondog - Woven in Time is a lyrical, thoughtful and beautifully realized exploration of what it means to be 'from' somewhere. Woven in Time: The Narragansett Salt Pond Preserve is directed and produced by Marc Levitt, with animation by Dennis Hlynsky, edited by Irene Su, Director of Photography Richard Goulis, additional photography by Thomas Payne and Mike Turecamo, drone photography by Kyla and Andrew Trench, and music by both local and international musicians including Campbell Brothers, Phil Edmonds, Hang Massive, Thawn Harris, Steve Jobe, Matt McClaren, Moondog, Jesse Robbins (Red Eagle), Josh Schurman, Cathy Clasper-Torch, and What Cheer Brigade. Frances Bisogno is the sound engineer, and recording took place at Jack Gauthier's Lake West Studio. The Executive Producer is Michael Hébert. Whether we explore photography, music, sculpture – any creative pursuit – we are artists. It matters not how one discipline may differ from another, we are one. We think the same. We're wired the same. 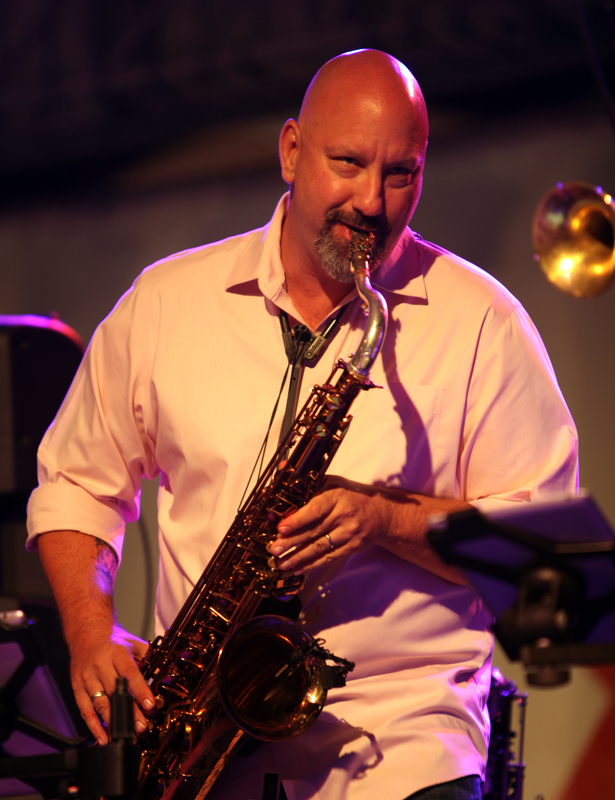 The artists interviewed are legends in their fields – master glass artist Josh Simpson, keyboardist and founder of Derek and the Dominos Bobby Whitlock, and saxophonist John Isley, to name three – tell personal stories of beginnings, of sources of inspiration, and of the little twists of chance that led to some momentous revelations and artistic opportunities. Each half hour episode focuses on one artist’s insight on art and creativity, and creative pacing. Facio | Create will debut on WSBE Rhode Island PBS on Thursday, November 5, 2015. For the first season, two episodes will air back-to-back at 10 and 10:30 p.m.
A television veteran with more than 25 years of broadcast experience, Rossi has spent his time in recent years organizing charity productions to help non-profit organizations. 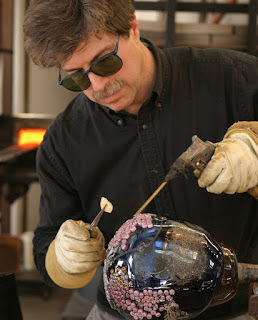 Rossi is also the producer and director of two series for WSBE Rhode Island PBS, Antiques Alley and East Coast Antiques. 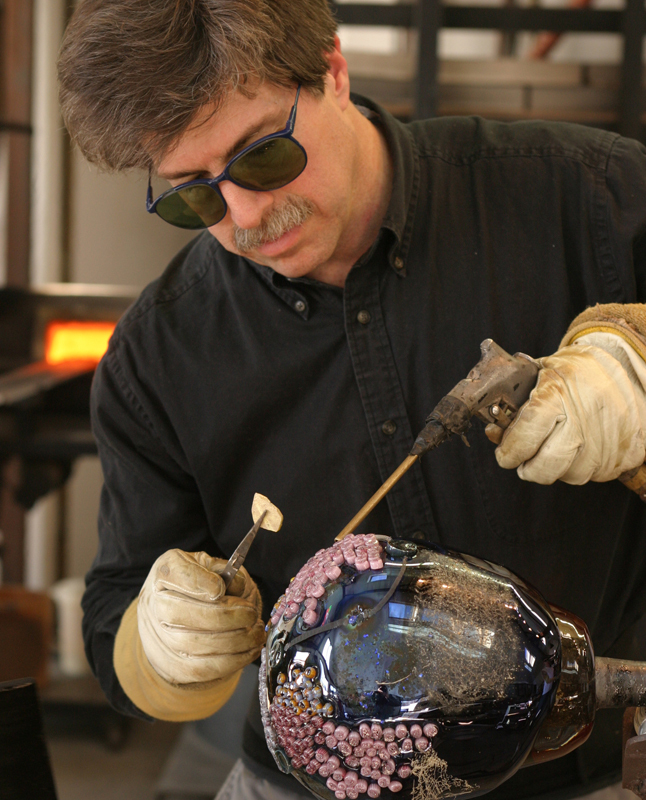 In his free time, he creates art photography with glass artist Josh Simpson. “I offer Facio as tool for your artistic tool chest,” Rossi mused. “I clearly remember what it was like to wish I would find my voice. Discovery is a great feeling. It’s an awesome, tumultuous ride. Looking back through the endless nights, the ups, downs, sideways, I wouldn't change a thing,” he said. 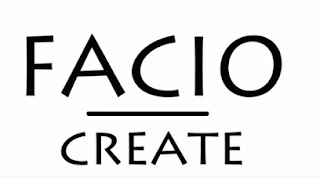 Facio | Create in its simplest form is a commentary on art through artists' eyes. WSBE Rhode Island PBS transmits standard-definition (SD) and high-definition (HD) programming over the air on digital 36.1; on RI cable: Cox 08 / 1008HD, Verizon FiOS 08 / 508HD, and Full Channel 08; on MA cable: Comcast 819HD, Verizon FiOS 18 / 518HD; on satellite: DirecTV 36, Dish Network 36. A Lively Experiment takes to the road at the Rhodes! Good government group Common Cause Rhode Island holds its 45th annual meeting on Tuesday, October 20 at Rhode on the Pawtuxet in Cranston. The public is invited to attend the dinner meeting, and to watch the live taping of a special extended version of Rhode Island PBS's flagship political affairs program, A Lively Experiment. Moderator Dyana Koelsch welcomes special guest panelists for this event, Honorable Nellie Gorbea, Secretary of State; Dave Layman, corporate communications consultant and former news editor/anchor; Ted Nesi, politics and economy reporter for wpri.com; and Donna Perry, taxpayer advocate. The show format will be the same as on television, with fast-paced discussion of timely political issues, including the viewer favorite "Outrage of the Week." "We are thrilled to partner with Rhode Island PBS to present A Lively Experiment as part of our 45th Annual Meeting," said Common Cause Executive Director John Marion. 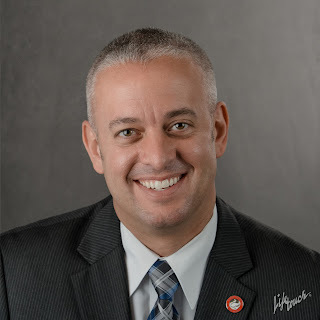 "A Lively Experiment and Common Cause have both been an important part of the civic dialogue in our state, and this is a unique opportunity for us to join together to bring that to a live audience." 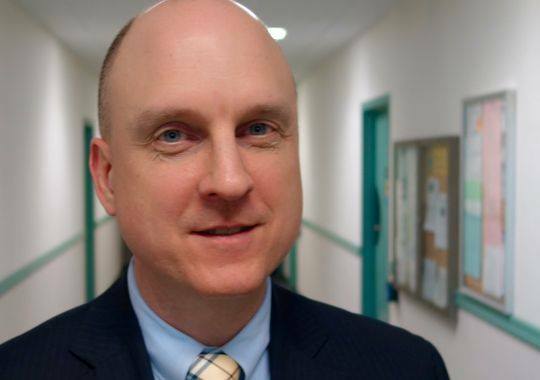 "Our organizations have talked about bringing A Lively Experiment out to the public for some time," said David W. Piccerelli, president of WSBE Rhode Island PBS. "Now it appears timing and technology are coming together to make it happen. We recognize this is an excellent opportunity to connect to the show’s followers and to the community in a closer, more personal way. Rhode Island PBS is delighted to be working with Common Cause Rhode Island on this first remote taping of A Lively Experiment." Rhode Island PBS will record the full hour-long discussion, with a shorter version planned for broadcast at a later date during the show's regular 30-minute time slot, Fridays at 7 and Sundays at noon. The full recording from the event will be made available online. For the annual meeting, cocktail reception with cash bar opens at 5 pm. Dinner begins at 6. At the event, Common Cause Rhode Island will present its Distinguished Service Award to Former Board Chair Daniel Siegel. A Lively Experiment will follow at 7 p.m.
Tickets are $60 per person and are available through the Common Cause RI Web site. For more information about Common Cause Rhode Island’s Annual Meeting, please call (401) 861-2322, or e-mail events at commoncauseri.org. For more information about A Lively Experiment, please call 401-222-3636, or email public at ripbs.org. Just in time for Halloween, Rhode Island PBS premieres a new film, House of Shadows, by local filmmakers Michael and Karen Iacobbo of Providence Lyceum, LLC. Tune in Wednesday, October 28 at 10 p.m. for this one-night-only treat. Filmed at some of Rhode Island’s most beautiful and important historical sites, the hour-long Gothic romance House of Shadows is inspired by the television series Dark Shadows. And, in fact, Connecticut actress Beverly Hayes, who plays Patience Silverfield, the 19th Century mistress of Silverfield Hall in House of Shadows, appeared in Dark Shadows. Beautifully filmed as it moves between present day and 1893, the story explores the strange events that unfold - and the force that manifests - after the mansion in the family of famous Victorian poet Nathaniel Silverfield is taken by eminent domain in 2012 for a planned flood. With a strong Rhode Island connection through its film locations, the film's cast, too, has local ties. House of Shadows stars Welsh-born actor and former Massachusetts resident Joe Michael Phillips, as Victorian-era poet Nathaniel Silverfield. 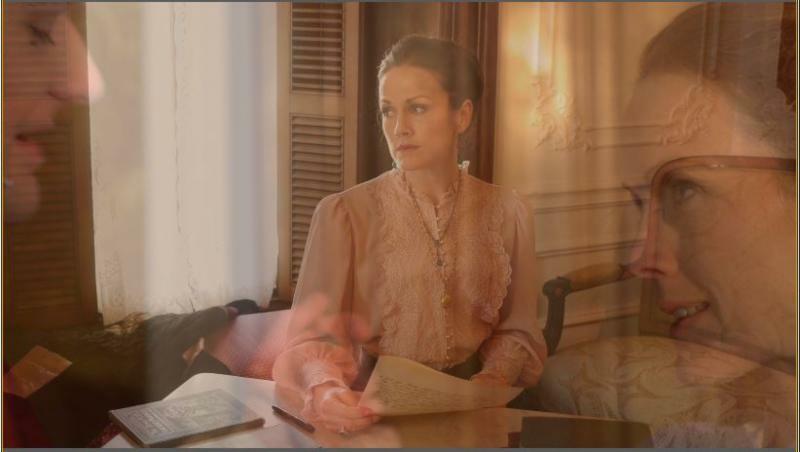 Actress Jami Tennille of Massachusetts stars as Nathaniel’s fiancée, Victoria Noble. Connecticut actress Suzanne McCormick narrates House of Shadows and stars as Buffy Silverfield, mistress of the 21st Century estate. Young actor Olivia Sage Pentell, who plays heiress Annabel Lee Silverfield, is also from Connecticut. Rhode Island actor Kevin Cahill plays the villain: Gerard Hawthorne. Other Rhode Island actors include Lawrence O'Leary as Jeffrey Silverfield, Linda Colvin as Aunt Lacey Silverfield, Josh Passarelli as Toby, Adam Buxbaum as Julian Murk, and Peggy Passarelli as the doctor. Click here for stills from the film, as well as more information about the filmmakers and some of their other projects.